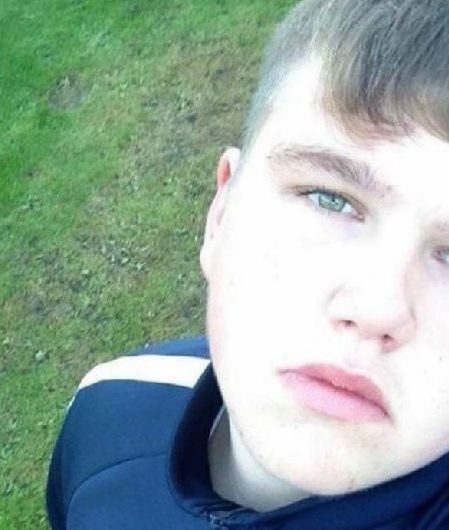 A coroner is urging teenagers to look after their friends, after a 16-year-old died at a party and no-one called 999. Dr Robert Hunter said that in the 17 years he has been a coroner he has ‘never come across a situation’ like that involving the death of Jake Wheatcroft. The teenager had been celebrating New Year’s Eve at a friend’s house when he fell asleep on the sofa after drinking a whole 70cl bottle of Ciroc vodka. His friends whipped him with a tea towel, took pictures of his unconscious body and drew on his face as a ‘joke’ before they realised the seriousness of the situation, Derby and Derbyshire Coroner’s Court heard. They later became concerned as they could not wake him, however instead of calling 999, they put him in the recovery position on the floor of the living room and went to bed. However the next day, friends found his body in the same spot at around 11am – and they later gave different versions of what had happened. Giving a narrative verdict, Coroner Dr Robert Hunter said: ‘I find it quite bizarre that not one individual in that house used their initiative to phone the police when they found a dead body on their floor. ‘In the 17 years that I have been a coroner I have never come across a situation like that.’ He added: ‘Although I can appreciate why they [his friends] concocted a story, I don’t think they realise the consequences of their actions. ‘The impact on his friends will be with them for a long time. It will be with the family for even longer. Pathologist Michael Biggs said Jake died of ‘acute ethanol toxicity’ which effectively caused the part of the brain which controls breathing to ‘go to sleep’. His blood alcohol level was measured at 316ml per 100ml of blood – almost four times over the legal drink drive limit. His family described him as a ‘wonderful, polite, super boy” who “everybody loved’. The inquest heard a number of conflicting accounts of what happened from his three friends at the small party. Two boys said Jake had been drinking from the bottle of vodka on his own all night but fingerprint analysis revealed the teen had not touched the bottle. His body was originally discovered by one of the boys. He told the court that he attempted to wake Jake up by shaking him but he could not be roused. He told another boy that he could not wake Jake up and then went to his bedroom and played on his Xbox. He later changed his account to say he had checked his pulse and breathing. The other boy said he found Jake with ‘stiff arms’ and ‘knew immediately that he was dead’ and informed his dad. The boy’s dad did not call 999 but went to Jake’s parents’ house in Glebe Avenue, in Pinxton, Derbyshire, to inform them of his death.